The meat industry has had a devastating effect on the environment; the meat and dairy industries are “on track” to becoming the biggest contributors to climate change, The Independent reports. And in relation to greenhouse gas emissions, the meat industry is responsible for more emissions than the transport industries combined. In addition, the farming of livestock has led to deforestation, destruction of habit for many animals, and pollution of water supplies, and the ocean. According to The Guardian, if we hope to hold off on climate change, then the consumption of meat needs to dramatically decrease (as much as 90 percent in Western countries). The evidence is clear, but if you’re thinking about cutting back on the consumption of meat, then you should know that not only is it beneficial for our planet, but also our health. is beneficial because it is cheaper, and vegetarians, in general, eat less fat in their diet and consume fewer calories. 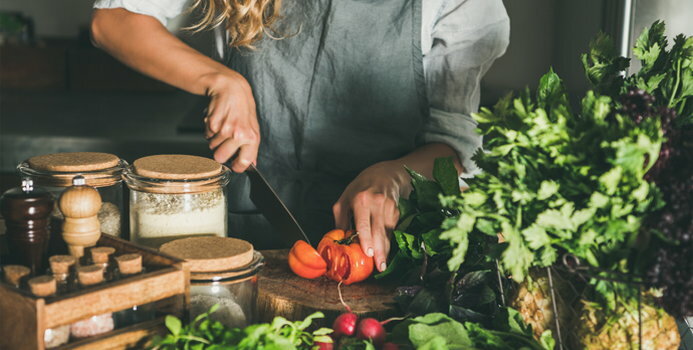 “Plant-based diets tend to be less energy dense so we can eat more and feel fuller,” dietitian Juliette Kellow said, according to Healthy Food — this would then suggest that a plant-based diet could also promote weight loss. Plant-based diets can also help to lower cholesterol and reduce the risk of colorectal cancer. As well as lower risk of heart disease, Mayo Clinic notes, while red meat consumption increases the risk of a stroke, diabetes, and heart disease. Heart disease is the leading cause of death in the United States, and switching to a plant-based diet could even “reverse its progression,” Mind Body Green reports. The good news for meat lovers is you don't need to eliminate meat from your diet completely for it to have a positive effect. Meat eaters are encouraged to avoid eating meat several times a week, which is why Meatless Mondays or Weekday Vegetarians are becoming all the more popular. FITDAY is a registered service mark of MH Sub I, LLC dba Internet Brands.